Yards Park: Situated just a half-mile away from Insignia on M, Yards Park offers a delightful waterfront escape along the Anacostia River with lawns, gardens, water features, and a boardwalk for anyone to enjoy at their own pace. Serving tranquil views and relaxing moments by day, Yards Park is also an epicenter of Navy Yard events, with concerts and festivals taking place in the park throughout the spring and summer. Washington Canal Park: On the slightly smaller but oh-so-convenient side, Washington Canal Park is just steps from Insignia’s front door. Located on a few acres of what was formerly a parking lot for district school buses, this three-block long park sits along the historic former Washington Canal system, which served as inspiration for the park’s sustainable and waterfront heritage-motivated design. Besides its accessibility, Washington Canal Park is also home to seasonal markets and events, dancing fountains in the warmer months, and ice-skating in the winter, offering Navy Yard locals plenty to do year-round. Anacostia Park: Just a 30-minute walk from the heart of Navy Yard, across the Anacostia River lies Anacostia Park, one of DC’s largest recreation areas. With over 1,200 acres to explore, including Kenilworth Park and Aquatic Gardens, Anacostia Park is an outdoor activity mecca, housing features such as ball fields, picnic areas, basketball and tennis courts, and the Anacostia Park Pavilion, just to name a few. 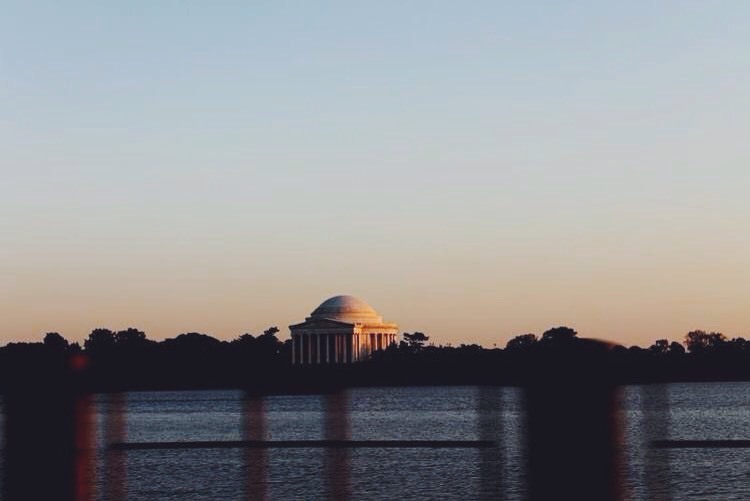 Tidal Basin: Would this be a blog post about DC parks if we didn’t mention the Tidal Basin? Even though its cherry blossoms are past peak, this picturesque DC destination is still a great place to enjoy DC’s flora and fauna, warm weather, and history! Rife with monuments, the Tidal basin is the centerpiece to the Jefferson, MLK, FDR, and George Mason Memorial. Coveting more than just a stroll around the Basin? In warmer months you can also soak up the sun on the water in a swan boat or paddleboat. So, whether you’re discovering one of the aforementioned parks, taking a stroll around the Navy Yard neighborhood, or enjoying some sunshine on Insignia on M’s resort-style rooftop, make sure you get outside this spring and enjoy some of DC’s alfresco options!